A luxury retailer was struggling to connect their data between web and mobile, causing a fractured user experience between the two channels, and disconnected marketing teams. In particular they wanted to leverage existing customer data from Salesforce Marketing Cloud for mobile campaigns. Furthermore they lacked a real-time view of their customers, which severely hampered their pursuit of relevant and contextual campaigns, i.e. the campaigns that deliver the best results. We integrated our mobile marketing engagement platform with their existing Salesforce Marketing Cloud where marketing campaigns are built using Journey Builder. The integration enables them to build and deliver campaigns with relevant and personalized content to drive engagement and increase retention across channels, particularly web and mobile in this case. 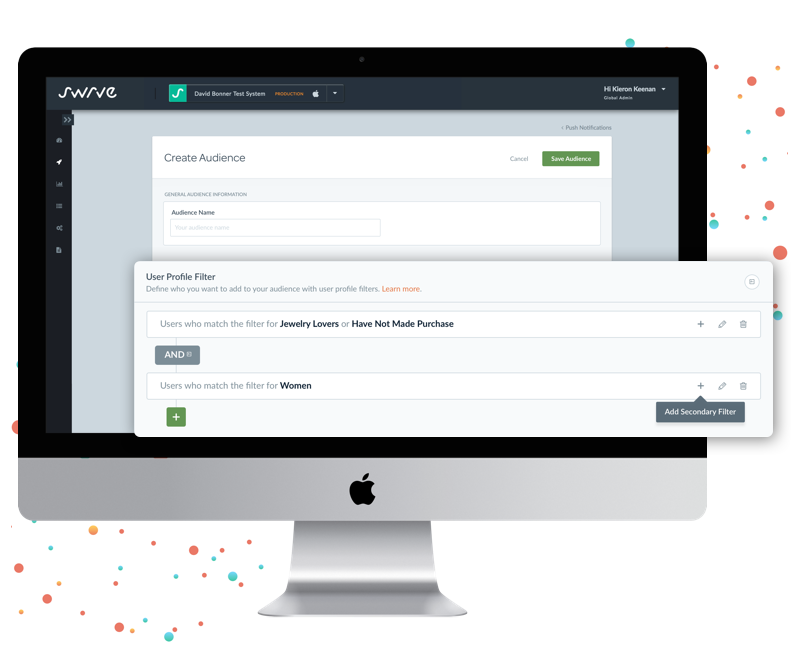 Swrve’s purpose-built integrations work with industry-leading marketing clouds, including Salesforce, to enhance and complement existing investments. This delivers true multi-channel marketing campaigns that further maximizes the ROI of their existing stack. 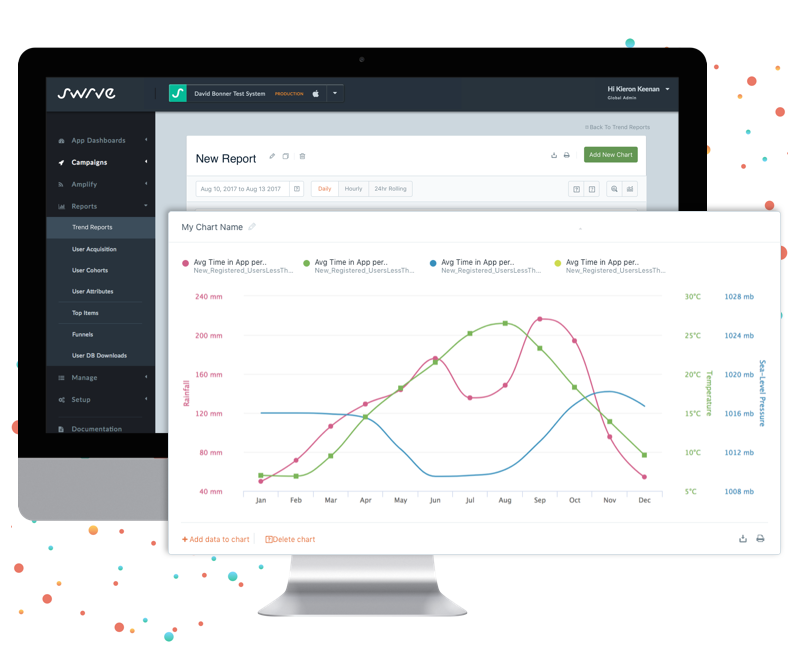 The integration of Swrve and Salesforce enabled the sharing of data across web and mobile, leading to campaigns enriched with more relevant content and added context. Optimizing campaigns through A/B testing, and personalizing based on user behavior from web and mobile, as well as delivering at the user’s optimal browsing and purchasing time further improved the service. 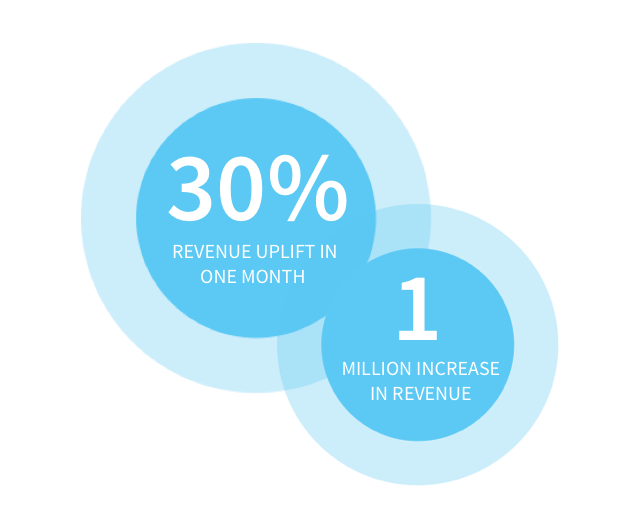 The results speak for themselves: a 30% revenue uplift in one month, which earned the company an extra $1 million. A dual campaign of push and in-app messaging encouraged users to book a free appointment to get their luxury goods valued by an expert. The in-app message contained a deep-link for a local phone number, which the users could call from the app. This particular campaign helped to increase the volume of calls to the company’s valuation centres by 3x. 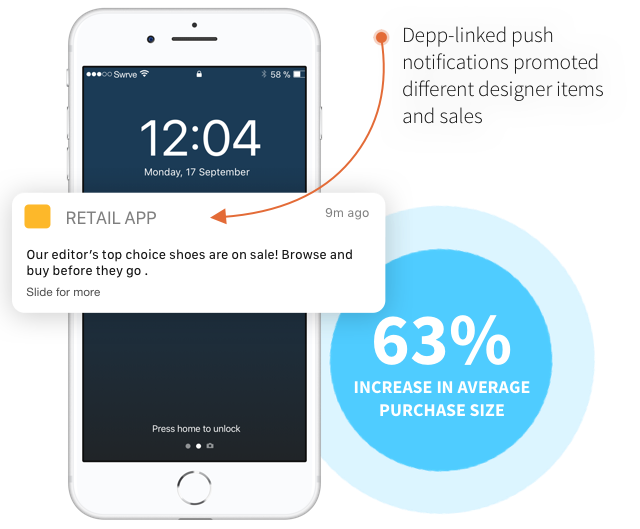 A seamless customer experience was created by deep-linking push notifications to promote different designer items and sales. 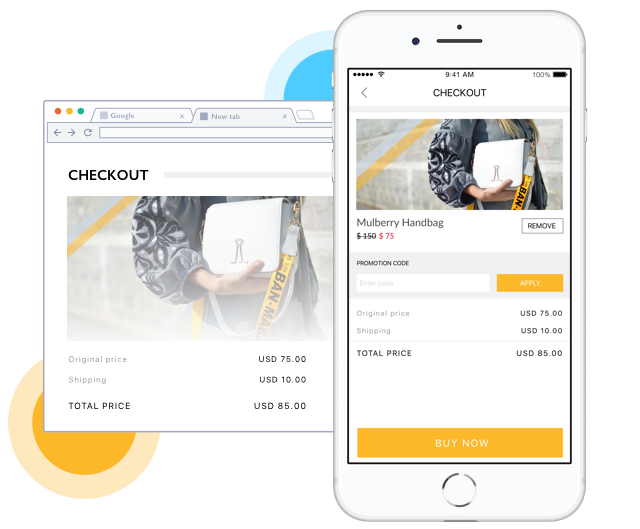 This streamlined customer experience not only increased the number of purchases by users, but also increased the average purchase size by 63%. 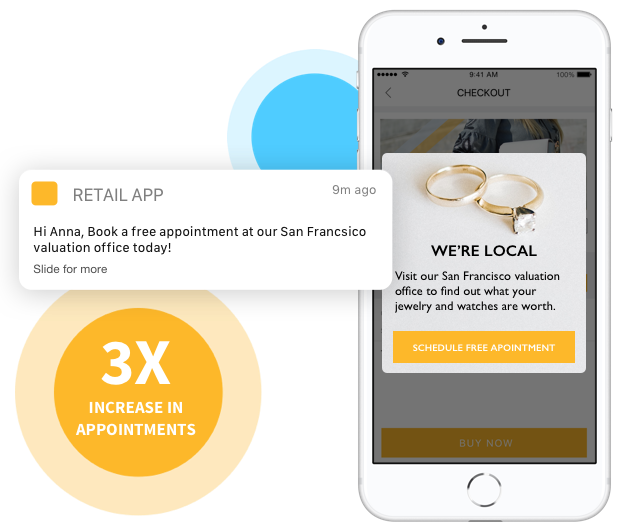 Overall, deeplinking in push notifications increased revenue by 101% per engagement. Users were segmented based on their online behavior, e.g. interest in jewelry, shoes etc. Push notifications were then personalized and sent to each user, promoting specific designers and categories. The results showed that jewelry produced significantly higher revenue & engagement numbers than all other categories, with an increase in revenue of 243% per engagement! 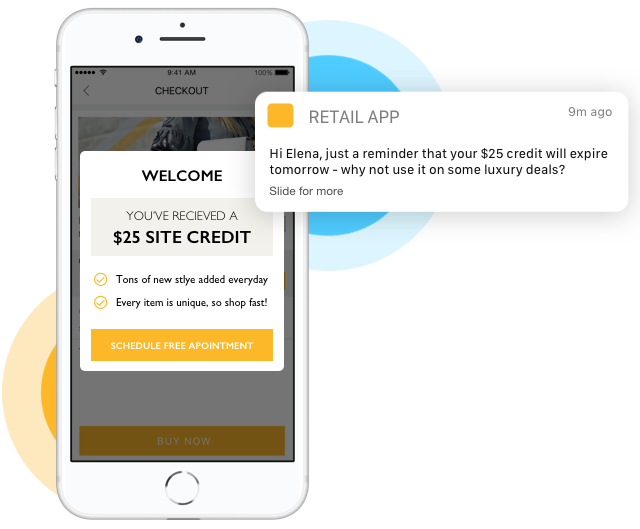 To drive initial purchases for new users, an in-app message informed them that they have $25 complimentary credit for a one week period once they have created an account. One day before the credit expired, a push notification was sent if the offer had not been redeemed by users, and they had not yet made a purchase online or in-app.